Why Do We Wake Up With Eye Gunk aka 'Muta' In The A.M.? 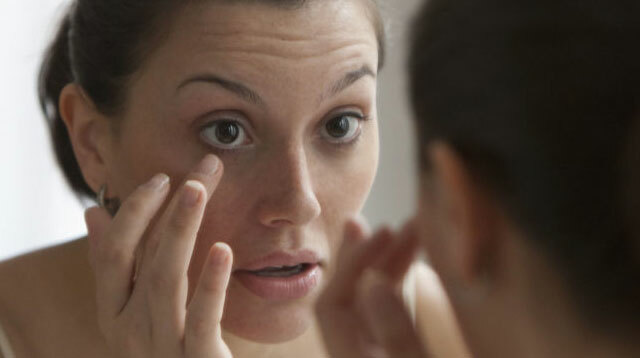 Why Do We Wake Up With Eye Gunk aka 'Muta' In The Morning? SciShow has revealed that the mysterious eye gunk is actually a build up of mucus, bacteria, dust, dirt, and dead skin cells that collect in the corner of your eyes when you sleep. Basically, when we're awake (and blinking lots) each blink wipes away the build up of mucus, bacteria and dust—keeping eyes fresh. But when we sleep, our blinking stops, meaning the build up of gunk in our eyes often collects in the corners and ta-daaa: an eye booger is born. People who suffer from allergies or sensitive eyes often have more gloopy and wet eye gunk, as they rub their eyes more and produce more mucus, where as dry eyes produce more of a crumbly, crusty clump—but everyone gets a bit, and it's totally normal.